Five years on the W&H beauty team has rendered me almost immune to brand hype. You see where this is going… I may have found the holy grail of skincare. Actually, let’s be honest, the holy grail would probably be that potion from Death Becomes Her that knocks 20 years off your skin in 30 seconds, but within the realms of possibility The INKEY List does combine just about everything I like and look for in a brand. That means active ingredients, transparent formulations, packaging that keeps them stable and, crucially, affordable pricing that means I can happily recommend it to every friend, family member and W&H reader. 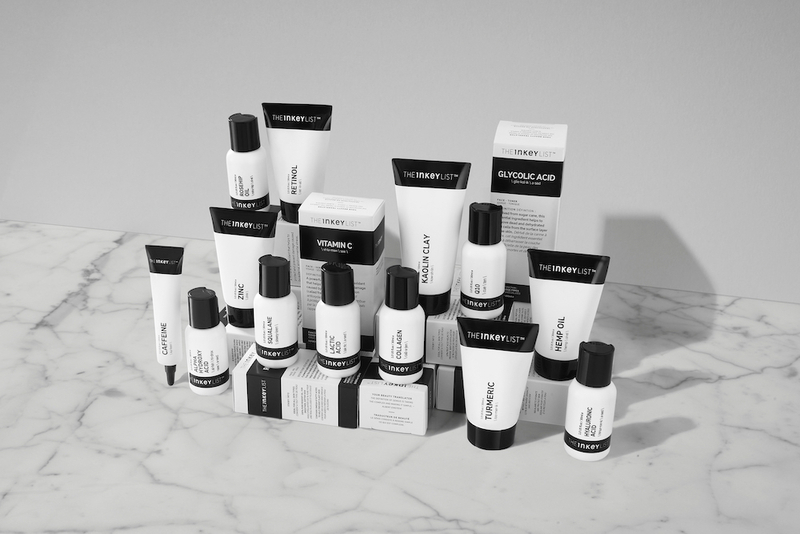 No wonder this range of 15 skincare products, a baby at just seven months old, has completely sold out on its own website and is flying fast from stockists Cult Beauty and Feelunique. So, what should you buy, you ask? That depends on your approach, as this brand is targeting two distinct consumers. The first are skincare obsessives, those who are au fait with formulations and know their rosehip oil from their retinol and for whom this will be an active ingredient pick & mix. The Vitamin C Serum, £7.99 with 30% stable L-Ascorbic Acid is a particular favourite of mine as is the Glycolic Acid Liquid Toner, £6.99 which delivered instant brightness on my first go. The second group – who I suspect make up the majority of skincare users – are keen but overwhelmed. 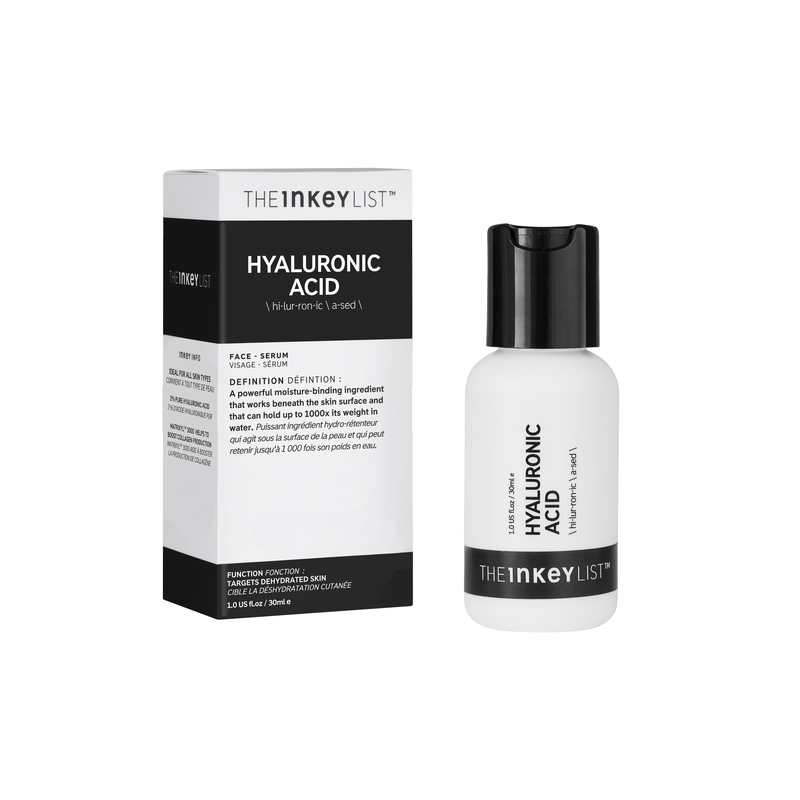 If you’ve ever bought a “superpowered” serum with no real clue what the ingredients do or when to use it The INKEY List wants to change that by throwing a bit of skin education into the bargain. This means a clear definition of the key ingredient printed on the front of every box, then on the side a guide to its effects and the skin types it works for. The learning continues on beforbeauty.co.uk where you can read up on combining ingredients, finding your skintype and more if you wish. If you do fancy dipping your toe in with a product or two, I recommend the Hyaluronic Acid Serum, £4.99, a great non-sticky hydrator that sits nicely under makeup and the Alpha Hydroxy Acid Serum, £8.99, a liquid exfoliator that, used at night will give brighter, smoother skin by morning. In short, there’s something here for everyone and at these prices you can afford to experiment. A little birdie tells me new products are due to join the collection in Spring ’19, and I have no doubt you’ll need to be quick off the mark to snap those up when the time comes.